It has been my experience that opponents of cremation have often been the initiators of any number of degrading remarks since cremation’s modern movement beginning in 1874. Statistics show, though, that for every one person against cremation, there is another one who agrees with its practice. The south is certainly no exception. While we in the “bible belt” have significantly lower numbers than our northern, western, and eastern neighbors, the fact that the practice of cremation is on the increase is obvious. What are the reasons that cremation is becoming popular? Through surveys conducted by the Funeral and Memorial Information Council along with the Cremation Association of North America it is discovered that the primary reason people choose cremation is for financial reasons. However, I find it interesting that in some markets there are funeral homes with direct cremation fees over $2000 and others with fees under $800, and that the funeral homes with the higher price conduct as many cremations as the ones with the lower price. Perhaps other cited reasons could explain this fact: consumers appreciate the flexibility, range of options, simplicity, found in choosing cremation. 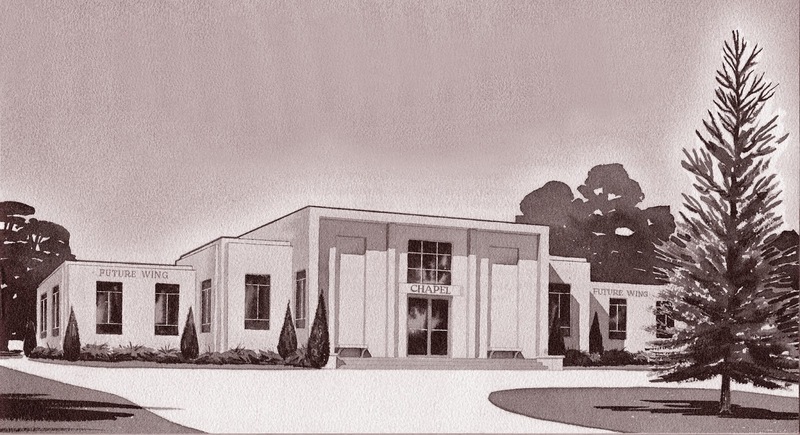 In funeral service, all funeral homes sell caskets and urns, most have hearses, some have limousines, all provide embalming, but what sets our funeral homes apart – what makes each of our firms unique is the way that we serve the families that call on us. Each firm has their own signature way of conducting funerals, and each have an experience that their client families receive. So many times, we can see that families are interested in the experience. Some appreciate the experience of a no-frills storefront funeral provider, others want the experience of a larger facility with more plush amenities. As long as all of these firms are truly caring for families in their times of grief, each has their place in funeral service. Still there are other opponents of cremation. The survey I mentioned earlier reveals that the third reason families choose cremation is attributed to environmental concern. But this is also a reason that cremation, and new crematories in particular, face opposition. It is perceived that a crematory built near a school or neighborhood will be harmful to people in those nearby places; or, for the more fiscal-minded, that property values will decrease due to a crematory in the vicinity. Sadly, these perceptions are, in my opinion and research, based largely on fear and lack of knowledge. 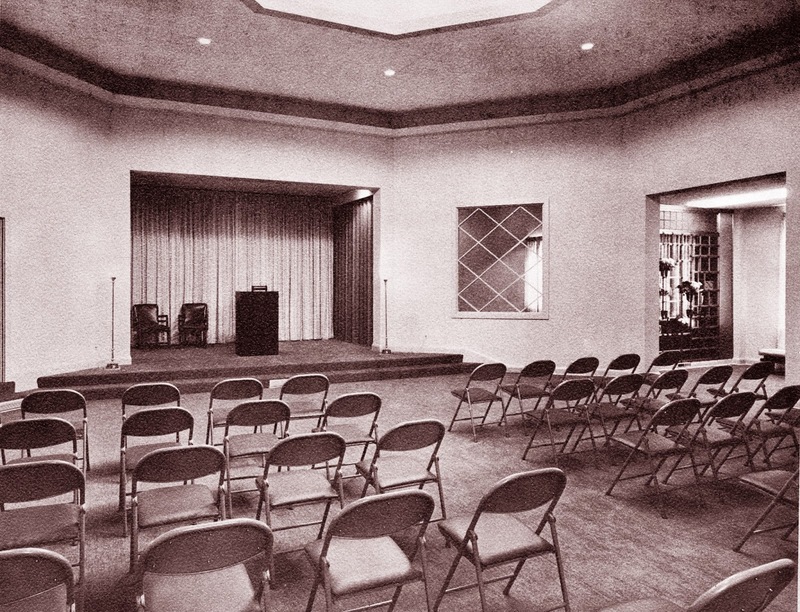 Many opponents quote some study by some other equally-fearful opponent of a crematory being built who got erroneous information to begin with, causing further fear and confusion. To add to the drama, the unnecessary use of words and phrases cause further hysteria. “Mercury Gas” and “Human Incinerators” conjure images of cesspools of toxic waste and Nazi concentration camps. When funeral professionals set out to build such facilities to more fully serve their families, they are often the subject of media controversy and even attacks on the professions they have spent their lives building. The very care they have given the families of their communities is often turned against them, their words of comfort returned with words of accusation and contempt. In the end, unfortunately, there is no winner – for layers of compassion are easily removed with a small douse of anger – like layers of paint are removed with a small douse of turpentine. What we must do, as professionals who are all in the same boat, though in different parts of the ocean, is to support one another. When we give our support to others in our profession, we are in turn supporting ourselves and the meaning of the ideals we vow to uphold, and most importantly, we encourage the value of our profession. "Best of all - in my opinion - is the entombment of the urn in a modern columbarium where it is safe from the erosive effect of the weather and the relentless tooth of time cannot mar its contour or destroy its loveliness." In 1985, the Cremation Association of North America conducted an urn-capacity study, the results of which suggested that the average volume of cremated remains for an adult was 200 cubic inches. In response, many urn companies re-created their styles to meet the new industry standard. 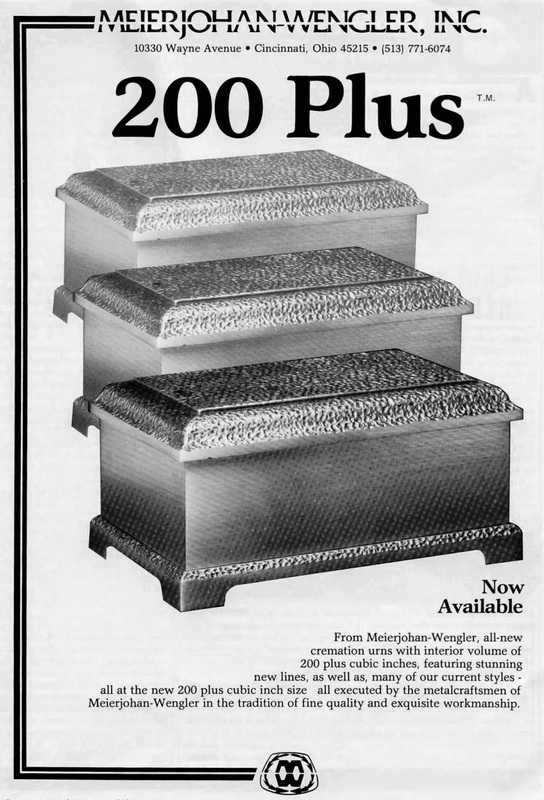 Meierjohan-Wengler, one of the country's most prominent urn manufacturers and suppliers, was one of the first to respond, doing so with the creation of their 200-Plus series. 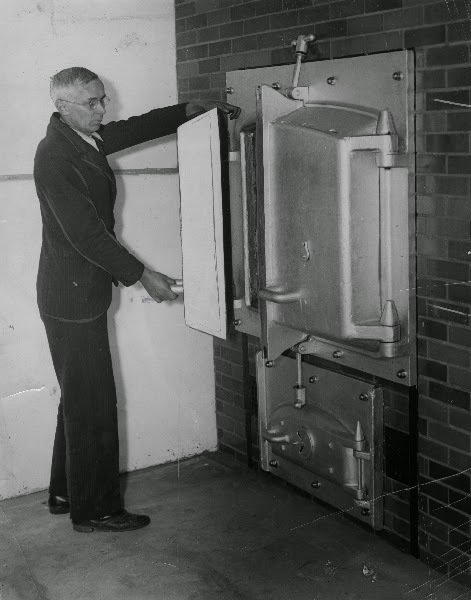 In 1937, the Eastern Cemetery in Louisville, Kentucky, constructed the first cremation chamber in their state in the basement of their office building facing Baxter Avenue. 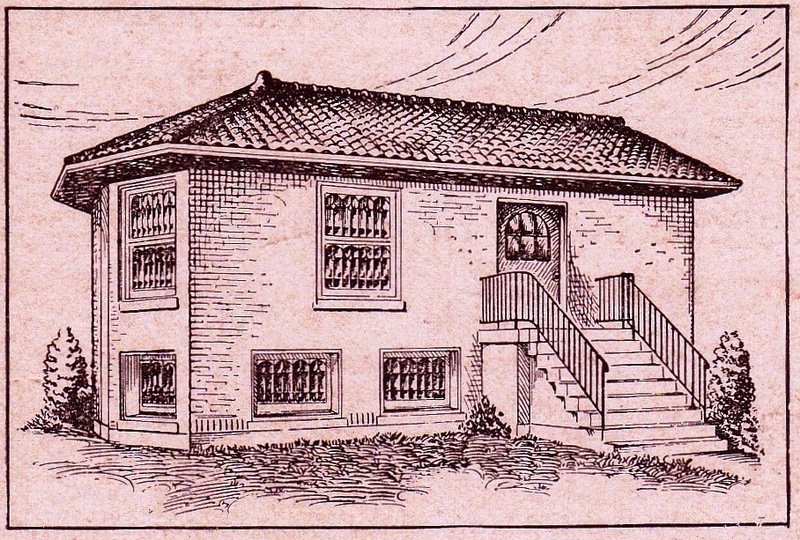 In 1957 the crematory was moved to a new, modern building in the center of the back section of the cemetery. In its time, it was considered a model facility - modern in every way. 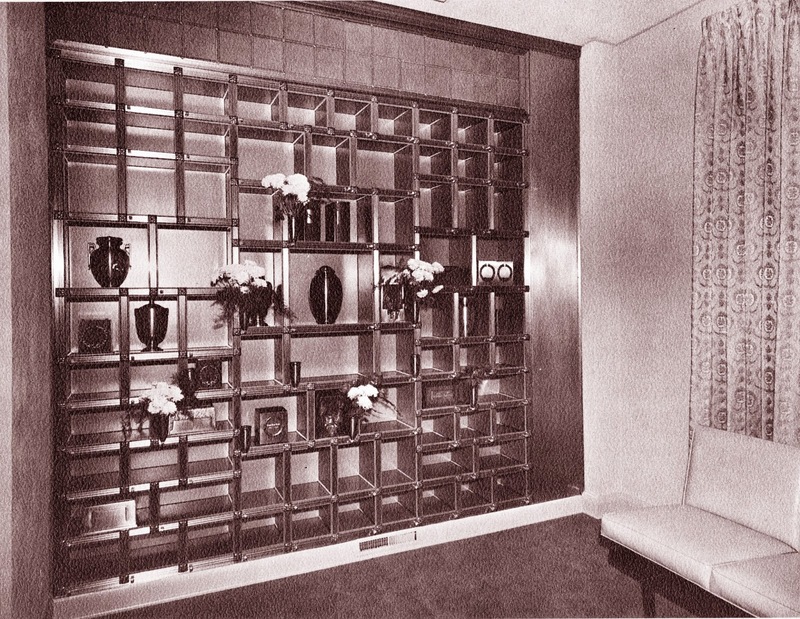 The columbarium of the facility occupied two wings on either side of the chapel, the cremation chambers in the basement. 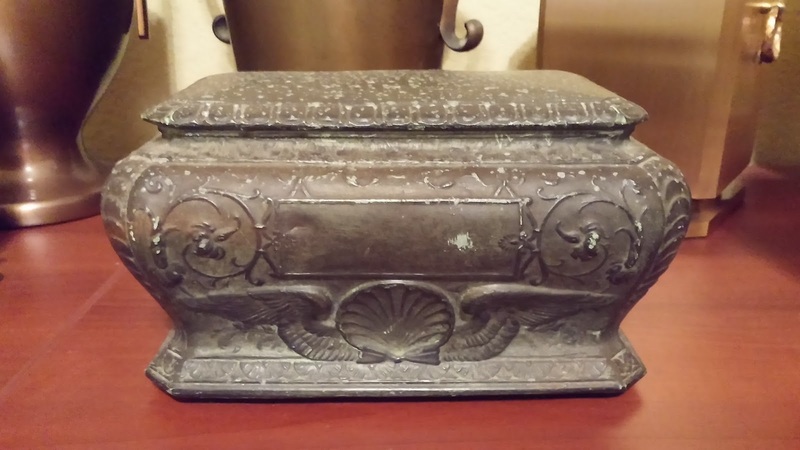 I am beginning a new series of posts showing Antique and Unique Cremation Urns as seen in my personal collection and as encountered on my visits to historic crematories and columbaria across the US. This urn is a Gorham Urn, model QU575 - which was first made during WWII when bronze, Gorham's usual medium, was scarcely available. 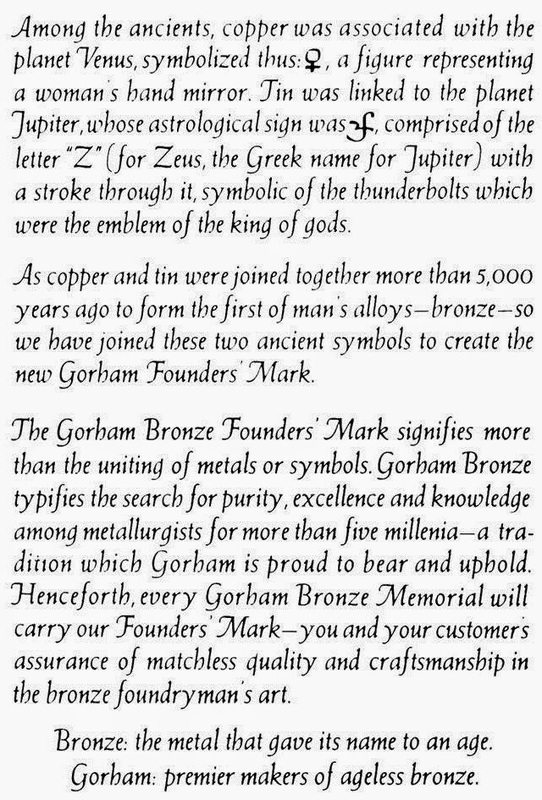 The urn was one of few made in the industry that was not bronze - but was made of a Zinc/Aluminum alloy. In 1963, this urn had a suggested retail price of $54. 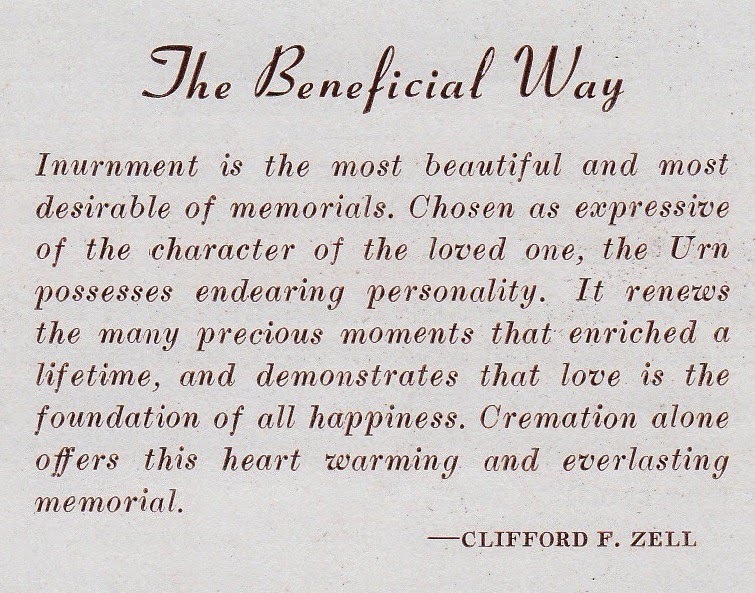 The Cremationist's Perspective: Clifford F. Zell, Sr.
From "My Heart Grew Rich That Day"
Attendees of the second annual meeting of the Cremation Association of America, held in Indianapolis, Indiana, September 3-4, 1914. Dr. Hugo Erichsen, founder of the Cremation Association, is just behind the plaque. 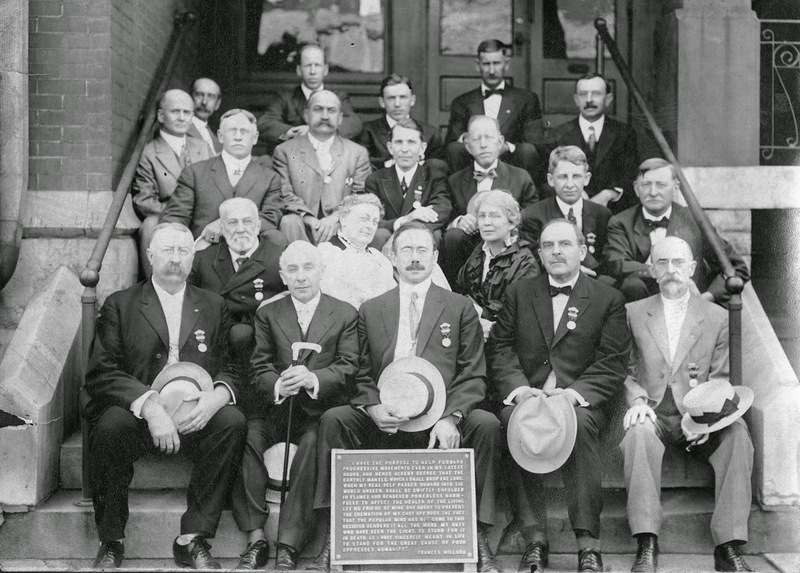 The photo also includes Frank Cobb (Boston), George Metcalfe (Buffalo), Charles Reynolds (Los Angeles), A.T. Roever (Cincinnati), Richard D'Oench (St. Louis), W. J. Adams (Ft. Wayne), E.P. Samson (Pittsburgh), Conrad Krueck (Cleveland), Frank Bates Flanner, Charles Buchanan and J.F. Balcolm (Indianapolis), among others. Photo courtesy of Flanner & Buchanan Funeral Centers. "In place of the grave is the open niche, with its beautiful urn, the sacred and permanent abiding place of the pure cremated remains of those who have gone before. Those who have disposed of their dead in this way uniformly testify to the consolation there is in their ability to come into such close association with all that remains of what was once so dear to them. Because the urn is visible, almost tangible, close to the living; and purity and innocence are suggested by the knowledge that the cremated remains that rest within are not subject to decay, but are, themselves, in their imperishable nature, a symbol of everlasting life!"